Covering 26 acres of former industrial land, Black Country Living Museum is uniquely placed to tell the story of the creation of the worlds first industrial landscape. 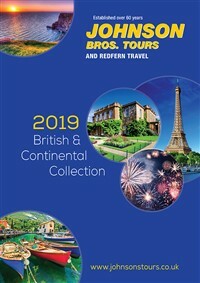 We tell the story of a very special time and place in history and some of the most hard-working, ingenious and influential people you could imagine! Black Country folk changed the world, and in the streets of our canalside village, on our tramway and down our underground mine, you and your family can experience how they became us. 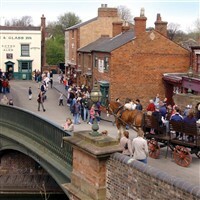 Over fifty authentic shops, houses and workshops have been carefully reconstructed to preserve the character of the region when its manufacturers brought worldwide fame to Black Country Towns. Take a trip on the tram to explore the canalside village, where you can meet and chat to the costumed characters. Explore the underground mine and experience the authentic sights, sounds, smells and tastes from the past. We have changing programme of demonstrations and events from metal working and glass cutting to sweetmaking ensures something to suit all tastes. Watch the silver screen flicker to life in the Limelight Cinema with silent films from the 1920s. Marvel over vehicles from the golden age of motoring and experience a real spit and sawdust inn.